Are you suggesting that Microsoft paid some raptors to go blow up eBay? 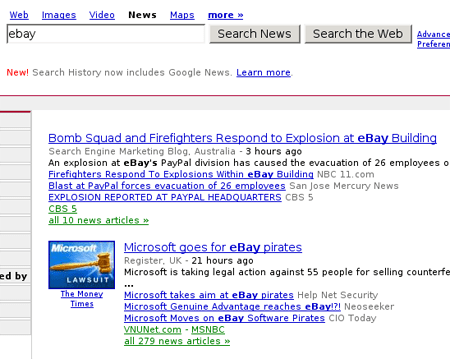 My take on that second headline is that Microsoft is trying to buy eBay’s sports team, the eBay Pirates. …Are you suggesting that xkcd had something to do with this? Preposterous! He’s a leading anti-raptor advocate. Reports that Steve Ballmer was seen at the helm of an 18-gun frigate fleeing the scene could not be confirmed. Wait, so if eBay wasn’t genuine before, does that mean it wasn’t really there? Where did all that money go?!?!? From exp(i*theta) = cos theta + i sin theta? Or was that the point of the joke? So, I was reading your comics and noticed the disclaimer at the bottom about the Liberal Arts students. You’re mostly right. Except for kids who go to St. John’s College. We get attacked by raptors all the time. I haven’t uploaded pic yet to eBay. Just a newbie with that part. Have you gotten through the hassle with iSale yet? How did it turn out. What’s the reall low down on the eBay boom..MS or what? 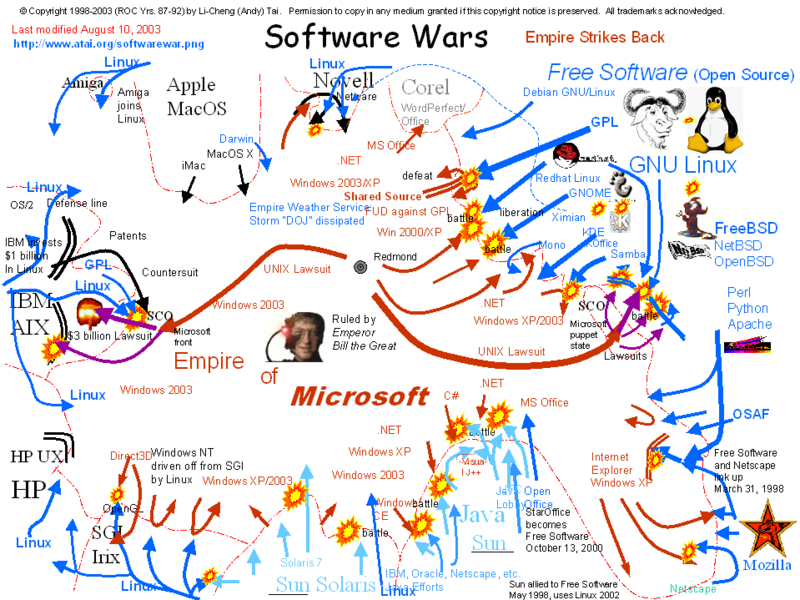 Wait, um… Why are we the enemies of Microsoft? Can we just be the enemies of Macs? Cant we just be the enemies of raptors? I was playing around with the audio feature. And instead of saying “I am” it says “I A-M”. The Rock-afire Explosion is an animatronic robot band that played in Showbiz Pizza Place from 1980 to 1990, and in various Showbiz Pizza locations between 1990 and 1992 as Showbiz rebranded and the band was steadily replaced by Chuck E. Cheese characters. The show was pioneering in many respects to other animatronics shows of the early 1980s, featuring life-sized characters capable of facial expression; some were even programmed in such a way that they could actually play simple melodies on musical instruments. The show was created and manufactured by noted inventor Aaron Fechter, through his company Creative Engineering, Inc. in Orlando, Florida; in addition to overseeing the production of the animatronics, Fechter also provided the voices for several characters. Hey everyone, but lately Ebay taking a large and is increasingly used. It stimulates the central nervous system strengthens sexual organs makes your skin young and glowing. I was reading your comics and noticed the disclaimer at the bottom about the Liberal Arts students. You’re mostly right. Very nice this blog thanks.